This post is in the guidelines of the FTC. I received this item for my honest thoughts and review at no cost or at a discount. All thoughts are my own and no other’s. There has been no other compensation, nor is there any intended. Normally 4oz seems like it isn’t much. Well, I can tell you that this is not the case here with the AzurelNaturals. 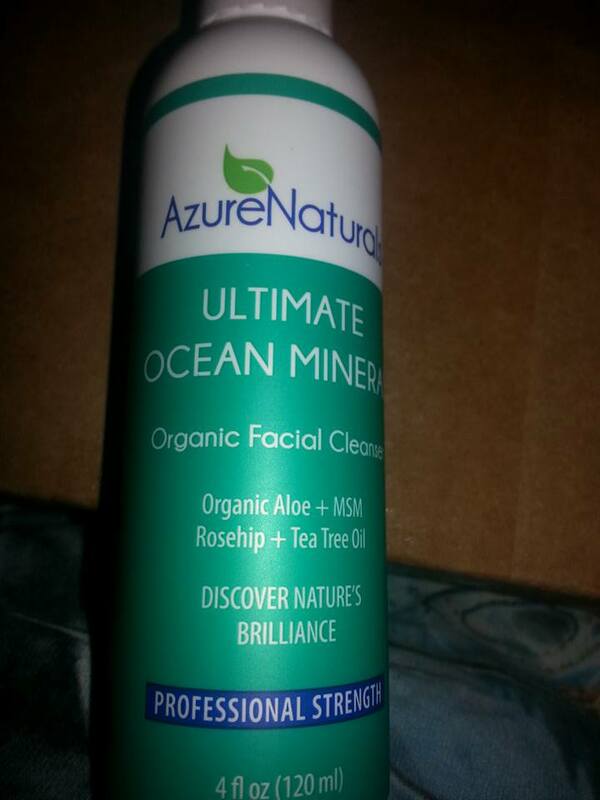 This is an organic facial cleanser. It contains Organic Aloe, MSM, Rosehip and Tea Tree Oil. It gives off enough balance to make a huge difference in your skin. It’s professional strength. I’ve tried, personally, all sorts of acne products + skin care for blemishes + skin care for dark spots and the list goes on. I haven’t found one product that will take care of all the issues that my skin conditions cover. That is until now. I know that so far, using this, it’s helped with the dry part of my skin, it feels so much cleaner, smells wonderful and takes just a small amount to cleanse the whole face. Just one drop, and a little bit of water, take and rub into the skin going in small circles to lather it up, then rinse completely. Thanks to our sponsor, we’re going to be doing a giveaway for one of our lucky readers! You must be a contestant in the USA. You’ll need to provide your shipping information for the item to be shipped to you. In no way is Bit O’ Everything reliable for your prize, it is completely up to the sponsor. Your information is not harvested. It’s never given out except to the sponsor if you win. If you don’t win, then no worries, it don’t go any further and is then deleted. You must be 18 or older. You must not have won this item on any other blog or contest in the last 90 days. You must not have done a review for the product in the last 90 days. In no way is Giveawaytools.com involved with this contest.